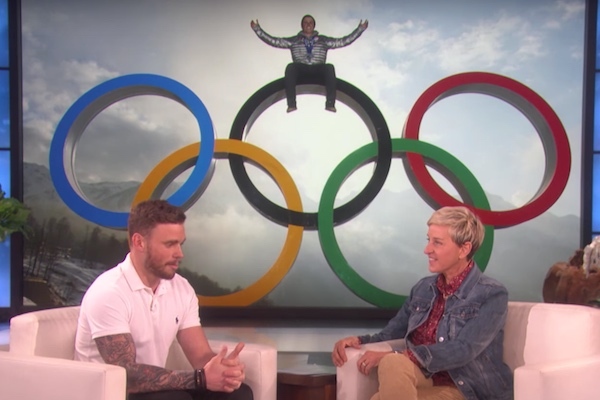 Gus Kenworthy sat down with Ellen DeGeneres on “The Ellen DeGeneres Show” to discuss being out at this year’s Winter Olympics, the inspiration behind his Head & Shoulders ad and Vice President Mike Pence leading the U.S. delegation to the Olympics. 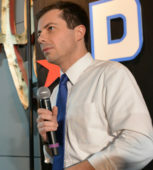 Kenworthy revealed he finds Pence a “strange choice” to lead the U.S. team delegation, which includes Kenworthy and out figure skater Adam Rippon. The athlete also shared the meaning behind his Head & Shoulders commercial which features Kenworthy holding a rainbow flag and mentioning the LGBT community. Catch Kenworthy competing at the Winter Olympics in PyeongChang, South Korea this month.